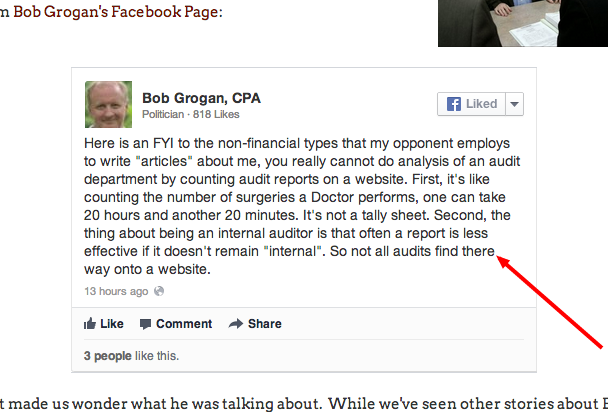 An astute Illinois Truth Team reader sent us a screenshot of our own post about Bob Grogan and his really expensive audits. The Truth Team reader points how the poor spelling in the Treasurer's race keeps rolling on. Plenty of people get there/their confused, right? I know we do sometimes. But..we're not running for Treasurer, we guess.